Our web designs are Mobile and Tablet Responsive! A website classified as “mobile responsive” means that the website displays properly on all devices viewing the website. When you have a “mobile responsive” website you do not need a mobile version of your website just to make sure your website loads and appears properly on a mobile device. In essence, a mobile responsive website ensures that you only need ONE website and that you do not need to build different versions of your website to appear properly on different devices. 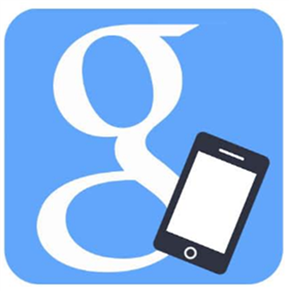 Google is a big fan of mobile responsive websites. Below is directly from the official Google blog:“Responsive web design is a technique to build web pages that alter how they look using CSS3 media queries. That is, there is one HTML code for the page regardless of the device accessing it, but its presentation changes using CSS media queries to specify which CSS rules apply for the browser displaying the page. 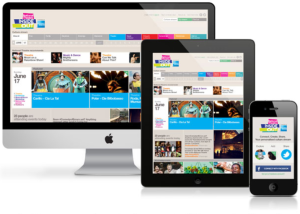 You can learn more about responsive web design from this blog post by Google’s webmasters and in our recommendations. 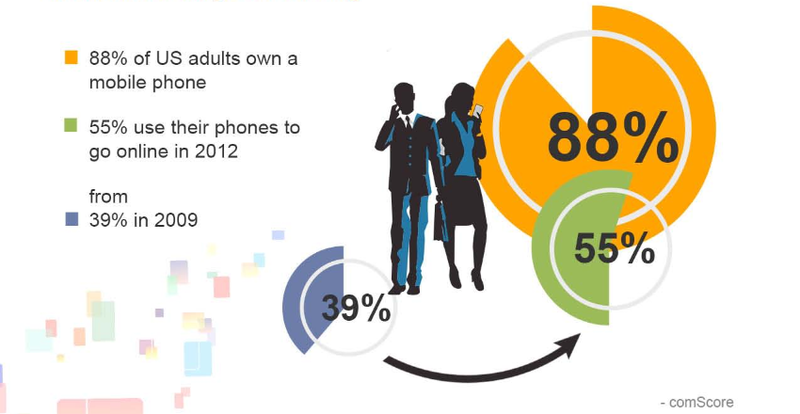 Did you know that by 2014, mobile Internet users will outnumber desktop Internet users? What is the Importance of having an OUTSTANDING website? People go online and visit websites to learn more about businesses, brands, products and services and to make business transactions. If you do not have a website, it is not a question of if you need one or not, the only question is how fast we can build it! In today’s world having a website is 100% necessary for 99% of all business owners. If you just started a business, a website should have been a part of your original business plan. If you already have a website, it may need some redesigning to improve its performance and to keep up with the times. Your website is your storefront online and depending on your business model, it may be your only storefront. Websites (and blogs) also serve as the central hub for online marketing where traffic is ultimately directed to convert into customers. Even social media traffic typically ends up converting into $$ once they hit your website. We use WordPress to build a website because it is the most popular website development platform in the world and will never fall behind the changing times. All of your online marketing efforts, such as SEO, PPC, and Social Media Marketing will rely on a well-designed mobile-friendly website where your landing pages and blogs are built to convert traffic to leads and from leads they become customers. Global share of mobile web traffic has been skyrocketing! Popularity is one thing, but why not just build a mobile version of your website? 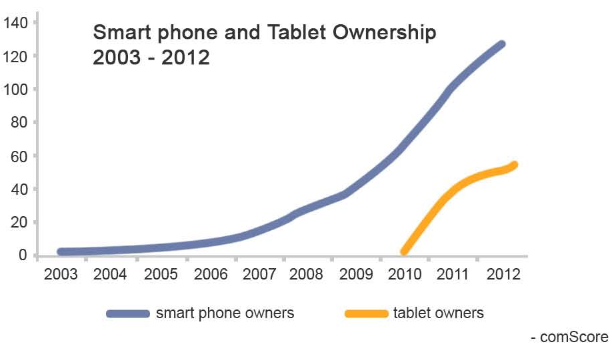 US consumer ownership of smart phones has surpassed 125 million and tablets are now owned by more than 50 million. How people consume content online has drastically shifted due to the wide adoption of smart phones and tablets. 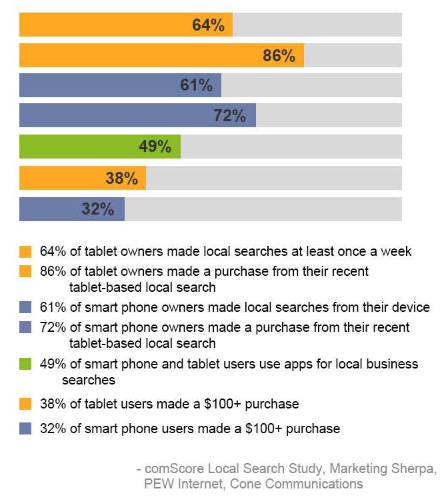 In August 2012, mobile phones and tablets accounted for a combined 13.3% of total Internet page views. This was nearly double the figures of August 2011. 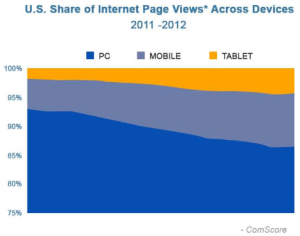 Personal computers continue to dominate with 86.7% of all page views. However, this figure is a 6.4 points decline from 2011. 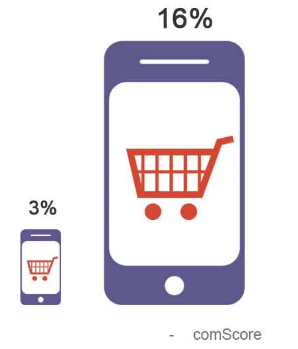 A growing number of US consumers are turning to a growing number of devices to stay connected. Mobile devices have been very instrumental to the growth of local search, social media and mobile based e-commerce or m-commerce. When mobile users land on a website that is not mobile responsive, those users tend to leave that website and opportunities are missed. And so it simply makes sense to upgrade your website to be mobile responsive now.